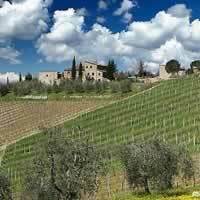 In the center of Tuscany - a charming hill-covered region offering a picturesque landscape of small stone villages, sprawling vineyards and olive groves. 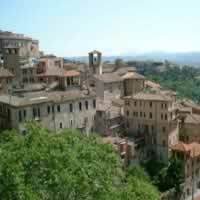 South of Siena - Hill towns, valleys, medieval castles guarding narrow road passes and isolated farmhouses. 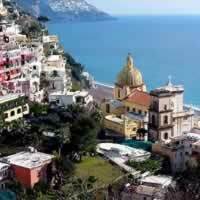 Perhaps Tuscany`s most captivating and picturesque region. 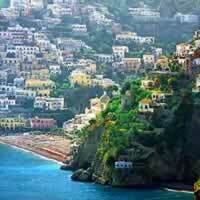 Land of castle-dominated hill towns, misty blue mountains, and the remnants of Apennine forests. 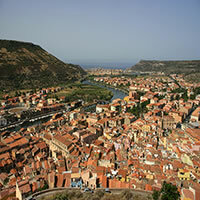 Splendid landscapes with famous monastic settlements, century-old trees and Romanesque parishes. Relatively uncrowded between Florence and Pisa - Towns with true architectural beauty and charm: mazes of narrow streets, Romanesque churches and beyond them stretches a land of genteel spas such as Montecatini Terme. 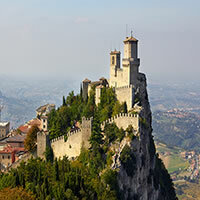 San Marino is among the smallest countries in the world, only 43 miles in size. More precisely, it is the fifth smallest, but probably the most curious one. This micro-country is a sole survivor of Italy`s former (and powerful we must add) city-state network and it is still holding on as the world`s oldest surviving sovereign country and its oldest republic dating back to 301 A.D. Tucked away inside Italy`s north-eastern region, San Marino is a UNESCO World Heritage Site with lovely things to offer it`s visitors. You`ll find everything from forests, fortress towers, and shopping malls, to medieval markets and Olympic stadiums in this quirky and unique part of the world. 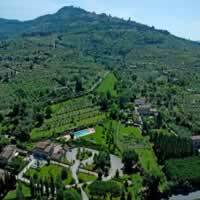 Enjoy the captivating countryside as you drive to San Marino, a mountainous microstate located within Italy and one of the world’s oldest republics, then South East Tuscany and finally the magnificent city of Florence! This is a flexible vacation package. Select your number of nights in each city, desired hotel and activities. 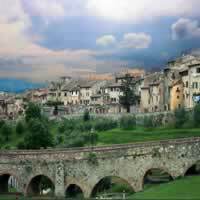 Begin your love affair with Italy in Rome (a gem of history, culture and artistic achievement) then enjoy the captivating countryside as you drive to San Marino, a mountainous microstate located within Italy and one of the world’s oldest republics. 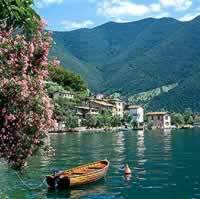 Then it's off to Venice, a city of romance, gondola rides along the canals and stunning palaces. This is a flexible vacation package. Select your number of nights in each city, desired hotel and activities. 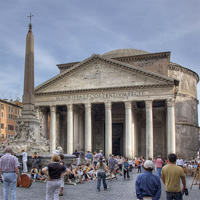 Begin your vacation in Rome, the Eternal City, then enjoy the beautiful landscape of Italy en route to Northern Umbria, San Marino (a mountainous microstate located within Italy and one of the world's oldest republics) and finally Bologna, a thriving university town and architectural gem! This is a flexible vacation package. Select your number of nights in each city, desired hotel and activities. 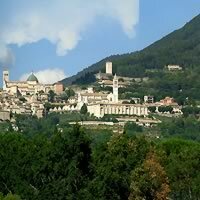 Behold the beautiful natural landscape as you drive to San Marino, a mountainous microstate located within Italy and one of the world's oldest republics, then continue to medieval Siena and finally the artistic city of Florence! This is a flexible vacation package. Select your number of nights in each city, desired hotel and activities. Begin your vacation with a visit to Milan (a fashion and shopping capital) then proceed by train to Bologna a thriving university town and architectural gem. 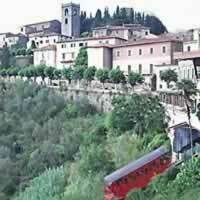 Finally, pick up your rental car for a scenic drive to San Marino (a mountainous microstate located within Italy and one of the world's oldest republics). This is a flexible vacation package. Select your number of nights in each city, desired hotel and activities. 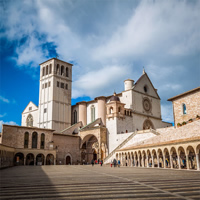 Begin your vacation amid the sumptuous palaces and romantic waterways of Venice before proceeding by train to Ravenna, former capital of the Western Roman Empire, the Visigoth Empire, and the Byzantine Empire, but best known today for the Byzantine mosaic decoration of its churches and tombs. 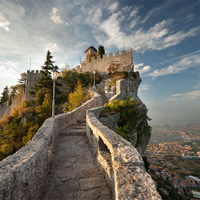 Finally, pick up your rental car and marvel at the countryside as you drive to San Marino, a mountainous microstate located within Italy and one of the world’s oldest republics! This is a flexible vacation package. Select your number of nights in each city, desired hotels and activities.